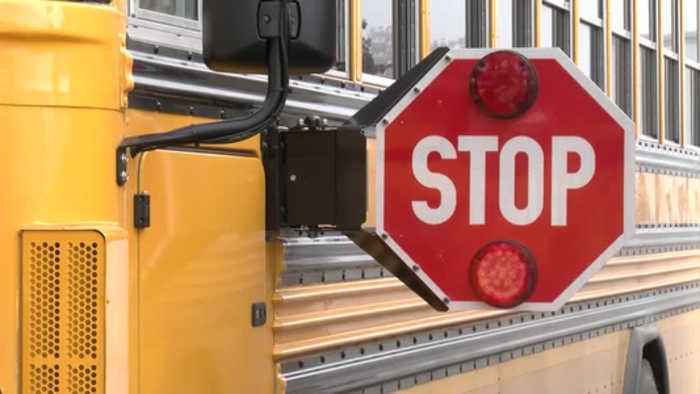 Bus drivers at north knox schools are fed up with stop arm violations. Good evening and thanks for joining us! A school says it's seeing more of the issue. News 10 bureau chief gary brian is live in knox county. He tells us what drivers are seeing and what the sheriff's department is doing to fight the issue. The recent bus crash in rochester, indiana has caused many drivers to take note. However bus drivers in knox county say many aren't getting the message. &lt; allyson bowers has been transportation director at north knox schools for three years. In that time she's seen an alarming trend. "we have seemingly had an increase in stop arm violations here at north knox." Those violations are happening even after a bus accident that killed three kids in rochester indiana. "it seems like the tragedy in rochester would have brought some light to people's eyes and maybe i need to pay more attention. It's almost seemed like it's been the opposite." Bowers says violations are happening everywhere in the district. This includes on the highways and even down tight small town streets. "this happens in every city we have. I mean it happens in bicknell, oaktown, edwardsport, sandborn, everywhere. And they'll even pause sometimes and seem to assess the situation and then go ahead and drive around the stop arm." The knox county sheriff's office is taking action. More deputies will be out on patrols looking for violations. All in the hope that another tragedy will be averted. "if we do catch you running a stop arm it wont be a warning. It will be a ticket." Patrols will go through the remainder of the school year. "if it was your child crossing would you want someone else to just go by? It dosen't matter if you're going fast or slow. If you go around that you're putting those kid's lives in danger." > "bus routes are being changed up for are being "bus routes "bus routes are being changed up for next school year. This is to elemintate the number of students who have to cross highways to get to the bus. Live in knox county, gary brian news 10." County, gary brian news 10."